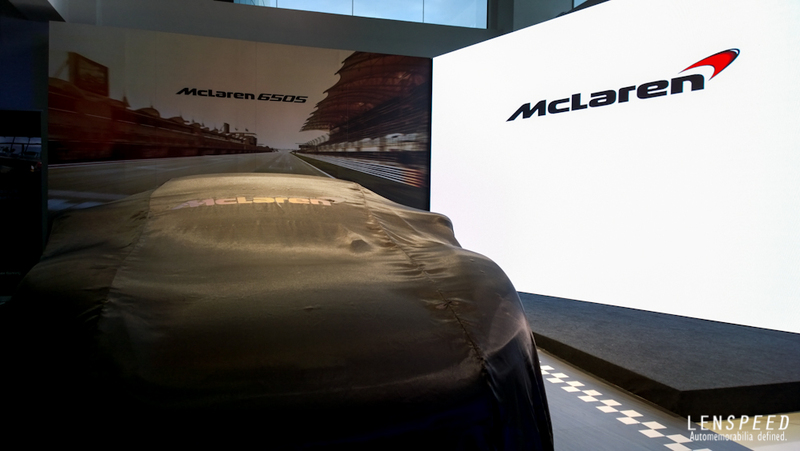 It has only been nine months since McLaren Kuala Lumpur’s opening right smack in town, but it has wasted no time unveiling three cars in nine months – a sign of growing market demand within the rich radius of Malaysia’s capital. 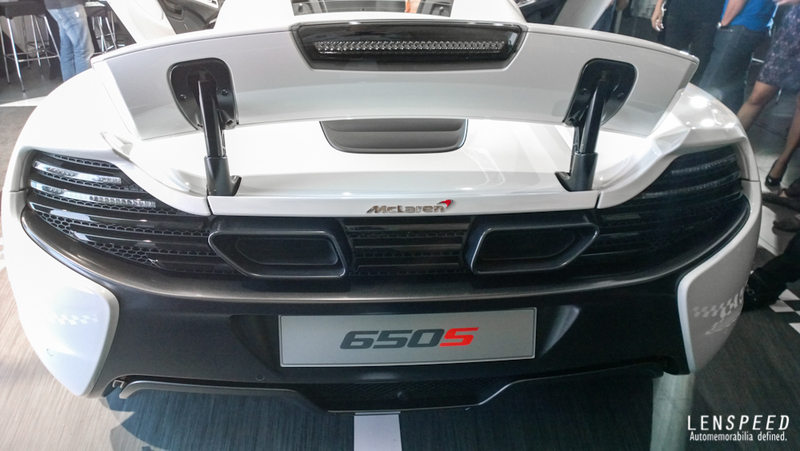 Three cars have been unveiled since October 2013 – the MP4-12C (or 12C in 2014 speak), the P1 and the 650s. 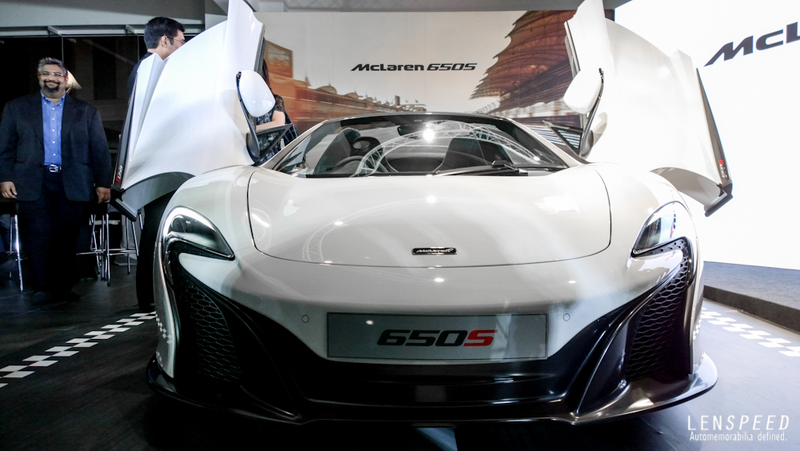 We were invited for the launch of the 650S, and as its name suggests, it boasts a power output of 650ps (641bhp), with the familiar M838T 3.8-litre twin turbocharged V8 motor capable of helping McLaren’s latest addition to the stable sprint to the century in three seconds. 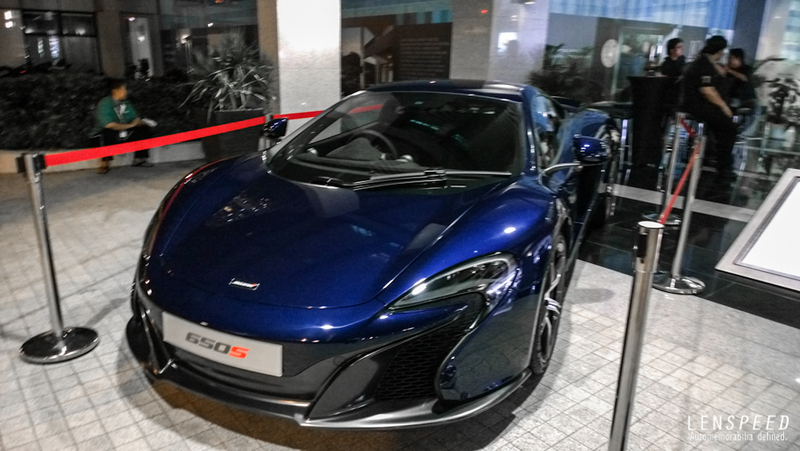 Greeted with the only 50th anniversary 12C Spyder in Malaysia, I was pretty certain that the night will not disappoint. 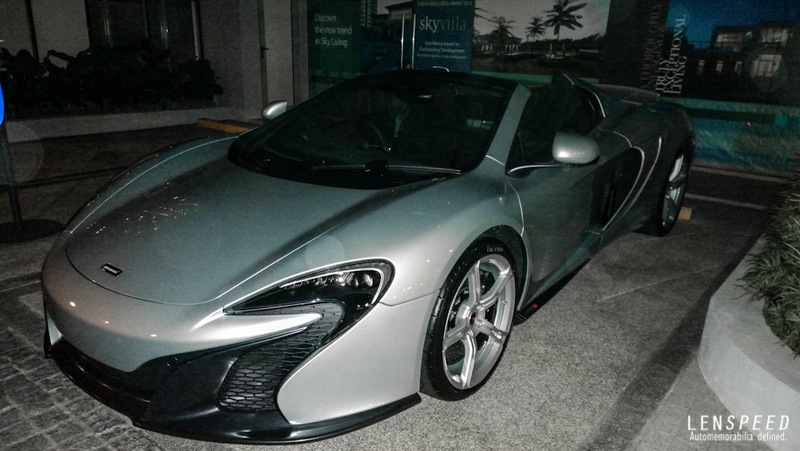 Like any other supercar unveiling, the event was accompanied by finger food and drinks. 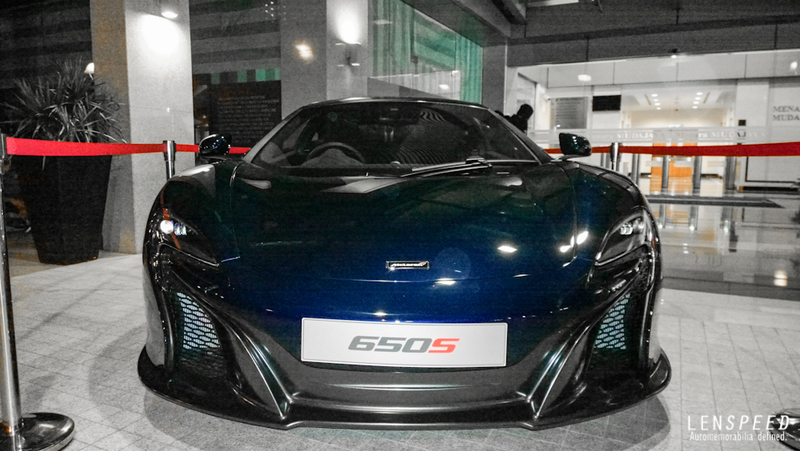 The main star of the night however has to be the 650S itself. According to McLaren, it is not meant to be a replacement to the 12C. Rather, it was developed to sit alongside the 12C as a higher priced offering. Despite McLaren’s claims, it remains clear that both cars look very similar, at least to the untrained eye. At RM1.2million before duties and RM1.3million before duties for the Coupe and the Spyder respectively, owners of this new supercar will be happy to know that most of the optional extras are already included for Malaysia customers. Carbon ceramic brakes, parking sensors and camera, lightweight forged rims – previously costly upgrades for the 12C now come as standard in the 650S. To differentiate the 650S from the 12C, McLaren has included the unique headlights derived from the P1. The ‘swoosh’ badge is also replaced with the classic McLaren logo found on the F1. To accompany the increased downforce provided by the front, the rear is fitted with a three-piece bumper inspired by the GT3 variant of the 12C. Although the 650S looks stunning, I would still opt for the 12C mainly due to its more cohesive design language. But beauty lies in the eyes of the beholder, and supercar purchases are often bought with your heart (and a deep pocket of course!). If you are in the market for either a 12C or a 650S, rest assured that you would never go wrong with either one.